The intention of this blog is to open up discussion of the the significance of Global Warming Alarmism to the history and philosophy of science. Why is this claim so widely and firmly pronounced as the overwhelming conclusion upon the science? How and why the suppression of debate? What was it in the history of science that lead up to this monumental distortion of the science? Has this sort of thing happened before? Towards the end of 2008 I began to consider these question while following the scientific debate. During 2009 I found heaps of relevant material and forged many hypotheses. And, as I explored the issue, more and more did I feel that the rise of Global Warming Alarmism is of significance to the historical of Western science. And so, if it is so significant, then answering these questions about Global Warming Alarmism is likely to give some insight into the general condition of science today. However, to explore these issues requires discussion, and I could hardly find any! Such discussion tend to occur in fragments and on the fringes of the debates over the science and the politics. Most folks interested in history and philosophy of science are not also sceptics of Global Warming science. At the end of 2009 I thought that there might indeed be some interest, but only that there is not yet a forum for this discussion. Or there might be some discussion, but I haven’t found it yet. One way to find out was to start a discussion and see if anyone found me — and so at the end of 2009 I started this blog. The style of my presentation in these posts is to point to, and summaries, various ideas, hypotheses, documents and controversial development that I judge relevant to these questions. It is not that I will try to remain neutral, but that I will endeavour to keep the discussion sufficiently open to allow readers and commenters to make their own assessments. That is at least how I see it at the moment. But I look forward to suggestions for modifying this approach. And, of course, I also encourage suggestions for new topics — some are already listed in my first post. Since the late 1970s I have been an environmentalist. I have always been sceptical of the science behind anthropogenic global warming (AGW). But I have mostly been quietly sceptical. By 2008 it was no longer possible to be quietly sceptical and an environmentalist. 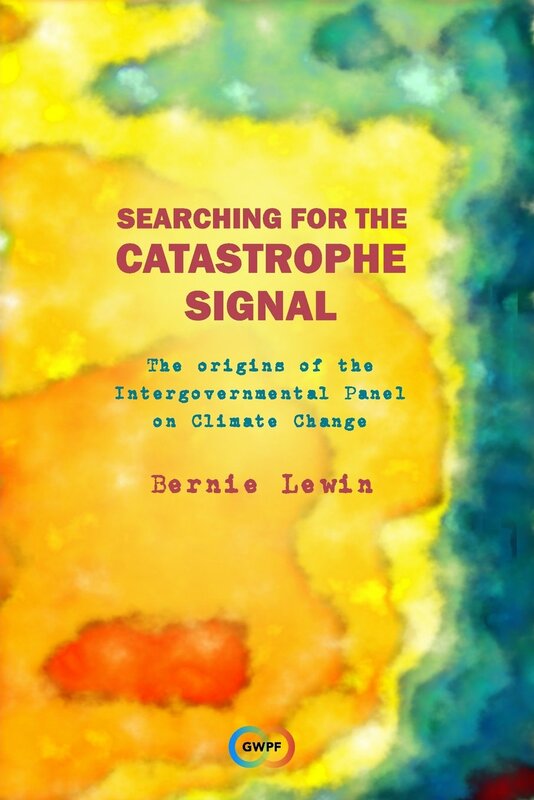 The issue of ‘climate change’ had come to overwhelm all other environmental issues and campaigns. My beloved Wilderness Society started a new campaign for our local old growth forests deeming them worthy for preservation as ‘carbon stores’ — any other rationale for their preservation paled in the face of the climate emergency. Late in 2008 the online political action group, Get Up!, sent me a members-survey to determine the popularity of broad areas of interest: Education issues? Health issues? Climate Change?…the usual ‘Environmental issues‘ had been usurped! This prompted me for the first time to look into the science at some depth. I was shocked at the appalling condition of the science. And I was saddened that this scare had become so completely identified with the environmental movement…and finally, I came to realise the danger to environmentalism of the back-lash when the bubble inevitably burst and the deception was exposed. The more I told my greenie peers of my concern, the more I came to understand — through their incredulous responses — the very unexpected nature of the problem. I started reading Crichton and Lomborg, and I became fascinated with the question of the rise of this whole phenomenon within science. I knew well the long history of apocalyptic alarmism in our culture, and if this history taught one lesson it was to expect such movements in every age. But this movement had developed in a major way within the institutions of science. The very institutions established during the Enlightenment, and heralded as remedies for such enthusiasm were, themselves, promoting it as based on a phony science. My fascination with Global Warming alarmism was informed by my interest in the history of science, and I became increasingly convinced that here was something new and significant in this long history — and it was happening before my own eyes! In Hearts of Darkness I recall Francis Ford Coppola explaining how he first thought of making a movie about the Vietnam War in Vietnam during the war. Running this blog during the AGW controversy feels as crazy and exciting as that — but without the danger to life and limb. You are not an academic, are you jewish? Excellent web blog, has apocalyptic science replaced apocalyptic religion ? If you’re not an academic then you are capable of being…! Not sure what that has to do with being Jewish – perhaps that was funny. Very good clear stuff and I look forward to readiing more from you. I am not an academic or a scientist and find your article on the philosophy of all this enviro-nonsense very enlightening. We’re all environmentalists, just not all extreme. The extremists have become a real threat to the progress of mankind, through their intense and misguided advocacy and grip on the political, and to some extent the business world, which was acquired while the rest of us were asleep. Well argued and backed up sources are invaluable for bringing about its demise. Please keep it up. I am impressed at this blog and. now that I have found it, it will be on my regular reading list. I am going to be particularly interested in how the various players ‘recover their senses’ over the next several years…. Very impressive site so far. All the best with it. You say that since the 1970s you have been an environmentalist. Would you care to substantiate that? How were you involved exactly, and in which issues? I strongly doubt it reading this blog. To say that there is insufficient evidence of anthopogenic global warming is to call black white, given the legions of researchers worldwide who attest otherwise in peer-reviewed publications. You’d better have good evidence that black is white. But you are not even a scientist, so how could you begin to have a case? Have you, yourself, collected any data?! Nobbly, A public response to this request would distract from the purpose of this site, however no private response is possible as the email address you provided is not valid. I’m afraid Nobbly et al are exactly reason I became a skeptic. Don’t they realise that constantly ‘playing the man and not the ball’ drives ever more reasonable folk into the opposition camp? It’s a wonderful job you’re doing here and will be making great use of it in the future. Well done. Give the man a Clio– he knows how to advertise that he is not an advertising man. I like your blog title, an alternative could have been ‘Last Tango In Paris’. Enthusiasms seem to have positive starts but become toxic., eg the Green, and the Climate Alarmist movements. Can the initial stage of an enthusiasm be maintained or should it be strangled at birth? JC, Enthusiasm, in the sense used here, is always the enemy of science. See my ‘Apocalyptic enthusiasm and the Royal Society’. Modern empirical science was founded and is always grounded in skepticism. When skepticism is pronounced the enemy of a science, this is only another way of announcing the triumph of enthusiasm over that science. When all the institutions of science actively or passively support a dogmatic enthusiasm–a pretender to science–as though it were that science, then we know that the corruption pervades. My investigations are grounded in the view that this is what has happened in the case of climate science. What an amazing site. You are describing very eloquently a similar journey I made from AGW believer to skeptic. I frequently refer to “cliamte change” as a social mania or as a CO2 obsession. My observation is that whatever it is that has gone wrong with climate science has to do with the great faux scientist, Paul Ehrlich and the continued acceptance of his ideas despite their being proven to be literally wrong. The political class, nearly worldwide, has not only bought into AGW. They seem to relentlessly advance polices inspired by the social mania that do not work, do not accomplish what are claimed, and damage things that do work. It is troubling to watch. You capture and analyze this quite well. I look forward to reading more. So, Bernie, what’s your opinion of Get Up! now? Are you still a member? No, not a member. The Get Up! campaign strategies can be effective in advancing a cause, however I don’t support most causes prioritized by Get Up! I admire your work with gathering all this information about how politics corrupted science. I can understand that Ben Santer in 1996 was co-author to a report ( The Barnett report ) that contradicted what he was a spokesman for in Madrid. I would like to ask you if Santer’s new findings on climate ( that were not part of the IPPC ‘s 2nd report ) have been peer reviewed by independing scientists and what was eventually the result of that. Is it also correctly understood that Santer”s findings didn’t deal with the natural variations in climate? Hi Finn, I only vaguely followed Santer since 1996. Most publications in scientific journals are peer reviewed, often in a blind review process. The problem is not so much that the reviewers are independent in any sense but more the culture in which the work and review is done. The main problem with Santer et al 1996 was that the time-series cut of early — as I have discussed.